Being a psychology student, I found one of the particular readings this week about social media particularly interesting. It was an article by Leigh Goessl and she talks about how a German Psychologist has suggested that people who do not have a Facebook account are considered to be “suspicious” (L, Goessl., 2012.). Apparently, according to Goessl, particular organisations even consider a lack of a Facebook account as a “red flag”! She refers to an article written by the German Psychologist Christopher Moeller Hanover which at one point states that neither James Holmes (Batman theatre shooter) or Anders Behring Breivik (Norwegian mass murderer) had Facebook accounts. Holmes did however create dating pages asking if people would visit him in prison but that is a whole other bowl of chips. Another thing Hanover mentions is that some employers are not hiring people if they do not have a Facebook account, and before giving somebody an interview are actually searching for their account. 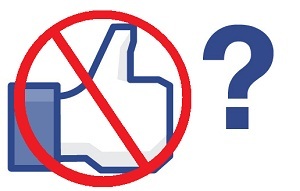 Considering so much of our lives these days is on the internet, somebody refusing to go on Facebook would seem rather odd, but is it a little bit extreme to call it suspicious? I found myself recently trying to organise a study group and asked one of the girls to add me on Facebook. She responded with “I don't have a facebook account.”. I was immediately (embarrassingly) shocked! I didn't know what to do with myself or our study group. Along the same vain, my best friend deleted her Facebook account because she couldn't deal with the pressure and now I'm finding it hard just to keep in contact with her, because she has no Facebook! Social Media has become such an integral, and natural, part of out lives as a communication technology that in a way, not following the crowd can look like somebody has something to hide or has a reason as to why they don't want to be “social” (as social as you can get on the internet). Maybe it's not the fact that people with out Facebook accounts are suspicious, but more the motives behind why they don't have an account are what makes them “suspicious”.